It is that time of year when doctors surgeries are offering the flu and pneumonia vaccines to supposedly prevent people from succumbing to these ailments. But is this the best way to truly prevent disease? Each year a flu vaccination is created months ahead of time, based on a “best guess” of what strains are going to give the most trouble when flu season arrives. It is well documented that viruses mutate and, if you come into contact with a different strain of the flu, you could become ill anyway. Equally, if you want to use natural preventative measures instead of taking the vaccine route, then you have to fully understand what the word ‘preventative’ really means. It is not just the taking of natural remedies once the disease is in its acute phase, it is about ensuring that the immune system is balanced and strengthened before it is exposed to infection. Preventative medicine should mean looking at what is stopping that individual from maintaining a healthy immune system. Before someone succumbs to a virus there are other signs that their body is under pressure and it’s those symptoms that need to be taken more seriously and addressed by your practitioner. Today we are bombarded with so many stressors, both internally and externally, that we actively need to support our immune systems - a subject that will dominate my future blogs. The current trend in the UK and USA is to throw a shopping list of supplements and remedies at the individual when they are in an acute phase of symptoms or showing signs of nutritional deficiencies, hoping that the ‘natural’ remedies will magically orchestrate themselves into the incredibly complex synergy (how they work together) that is needed for the healthy functioning of all the systems of our body - a simplistic approach to a complex challenge. Trace elements are vital for the healthy functioning of the cells – without them the cells cannot absorb their nutrients. All the trace elements used in the Oligotherapy complexes are absorbed under the tongue and are in the purest form for their optimum assimilation into the cells of the body. Oligotherapy excels in the field of preventative medicine. By using a two-pronged approach, it identifies where the weakness is from five background conditions, at the same time addressing the presenting symptoms, resulting in a healthy and balanced immune system. So, what do you intend doing to support your immune system this winter? 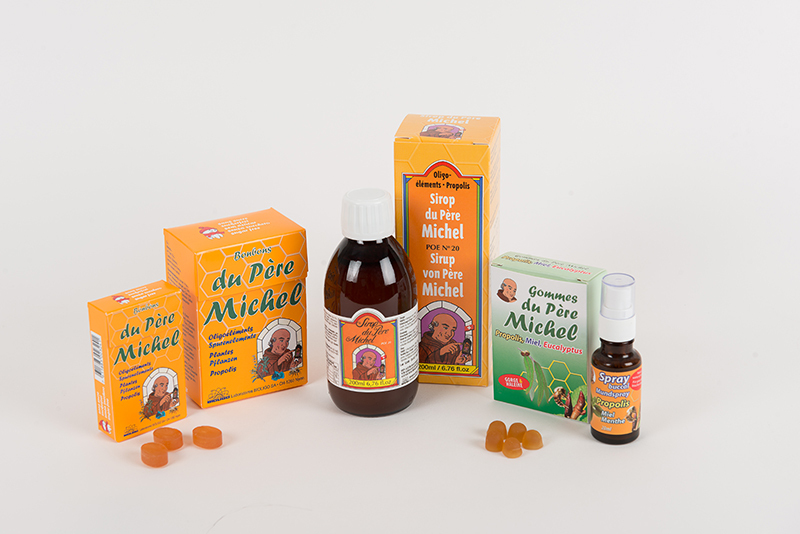 I recommend using the Sirop du Pere Michel range of products which includes ionised and dynamised Manganese-Zinc-Copper-Gold-Silver-Magnesium plus organic Propolis, which can be taken as a preventative measure as well being an excellent remedy during bouts of colds, coughs, flus or any upper respiratory problem.